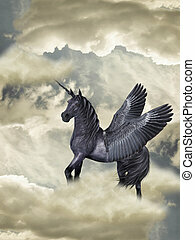 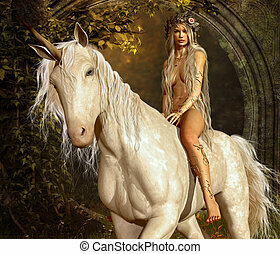 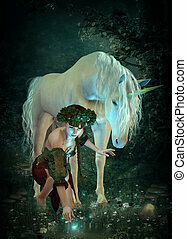 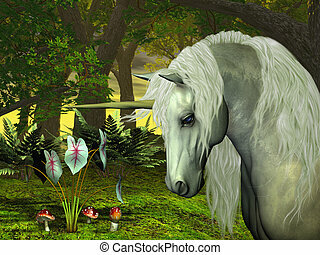 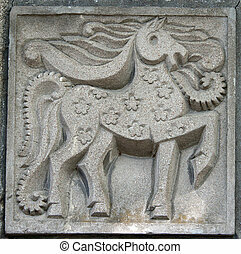 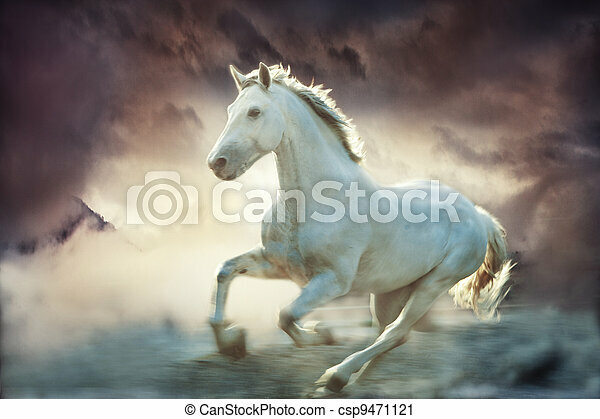 Fantasy horse. 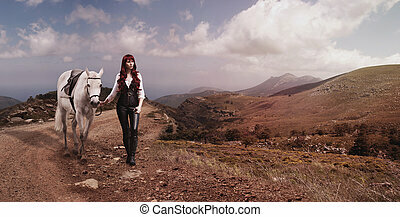 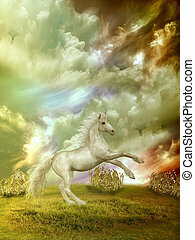 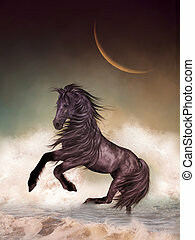 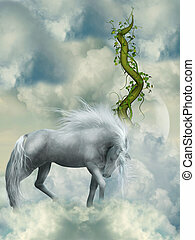 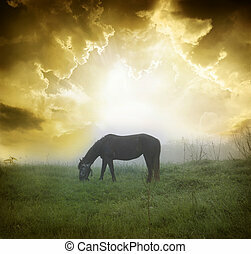 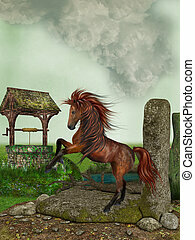 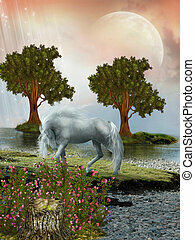 White running horse, sky fantasy background, small amount of grain added. 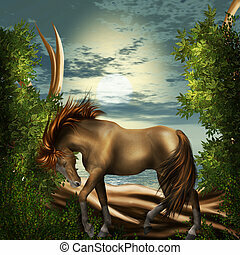 The fabled golden creature of the woodlands and the forest. 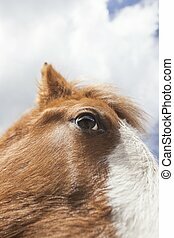 Close-up picture of the eye if a horse. 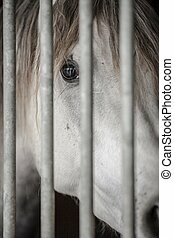 Close-up picture of a white horse behind bars.